If you are a small company, particularly one with a global audience of potential customers, social media marketing is important. 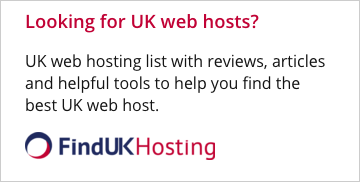 For web hosts and cloud companies, it’s vitally important. 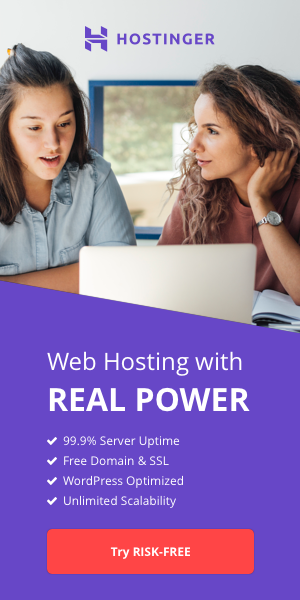 The typical web host customer base includes a solid percentage of ‘off-shore’ customers – customers not from the country were the web hosting company is registered. Every effort needs to me made to just maintain that percentage, let alone grow it, and what better tool is there for you than social media? Only 10 years ago just 7% of the people in the United States used social media. Now it’s closer to 65%. But that’s not all of social media’s appeal. There are approximately two and a quarter billion active social media users worldwide, and globally social media is even more of a phenomenon than it is in the US. For example, in 2015 people in the Philippines used social networks on average for 3.7 hours a day, while in the United States it was a miserly 1.7 hours a day. This type of usage is knocking out television advertising because these days people just as likely to be glued to a computer monitor as they are to a TV. With a good social media strategy you have access to this intensely huge audience - without one you can’t reach it at all. With Facebook as the ‘market’ leader people often don’t consider other options in their social marketing strategies. With over a billion people using Facebook on a daily basis, it’s easy to overlook a social network such as Twitter, which is, as some people say, in decline. The fact is though Twitter is still (just about) growing at around 1.5% per quarter. Nothing compared to Facebook, but let’s look at some real facts and figures. At the beginning of this year (2016) Twitter had 320 million users and received 84 million unique visitors per day. Ideally for web hosts, while around 50% of Twitter users were in the United States, the rest were spread around the world. In addition, a breathtaking 80% of Twitter users access are mobile Tweeting through mobile phones and other devices. Again, ideal for a web-based industry. Can you really ignore 320 million Twitter users? I suppose you can if you don’t have the time. If you can’t afford someone to do it for you, social media marketing is a massive distraction, taking your time and effort away from core competencies. But this is where Twitter can prove a real winner – curiously, there are more tools around that make Twitter easy to use than there are designed to help you use Facebook. What do I need to do to be successful on Twitter? 1) find the people you need to market to, i.e. which people might be interested in your products and services, etc. 4) find access to content that might be of interest to the people who might be interested in your products and services – just sending out adverts on a daily basis isn’t very engaging. What tools are around to help me to do these things? There are literally hundreds of different tools for Twitter, each with subtle nuances that make it different than the next tool that does basically the same thing. For instance, tools like Narrow look at Twitter users’ ‘bios’ and the hash tags and keywords they use to help you find more people to market to. It also offers tools that help automate how to engage your new audience once you have found it. ManageFlitter is similar to Narrow in that it searches hashtags, and bios, but it also helps you to know when the bulk of your followers are going to be online. It also finds spam accounts and unused accounts so you can delete them from your followers. Tweriod is another tool that looks at your followers to determine the best time to send Tweets. Tools like Twitterfeed help you send out Tweets – basically you associate a Twitterfeed account to your site and every time you update your site, a Tweet is sent containing the new content. If you can’t stay up all night to update your site to cater to your audience in New Zealand, tools like Buffer can help you put Tweets into a queue and send them out at selected times during the day. Feedly is also widely used to help people find interesting content. You set up categories of RSS feeds and rather than continually looking across the internet to find new and interesting stuff, the RSS feeds send content to you. This is, of course, just scratching the surface, and of course, learning all this stuff can be time consuming. Fortunately, there is a mass of content on the internet to reduce the learning curve. Obviously Twitter would be a good place to start, but there is a mass of paid and free training alongside a solid wedge of online video covering the topic. Have a go – don’t forget Twitter. If anything Twitter fans are more avid and fanatical than users of other social media, so put some effort into getting your word out to them!